Earlier today, I speculated that Solji‘s appearance in the promotional work for EXID‘s Seoul stop of their ‘EXID Asia Tour‘ meant that she would be at the concert in some capacity. 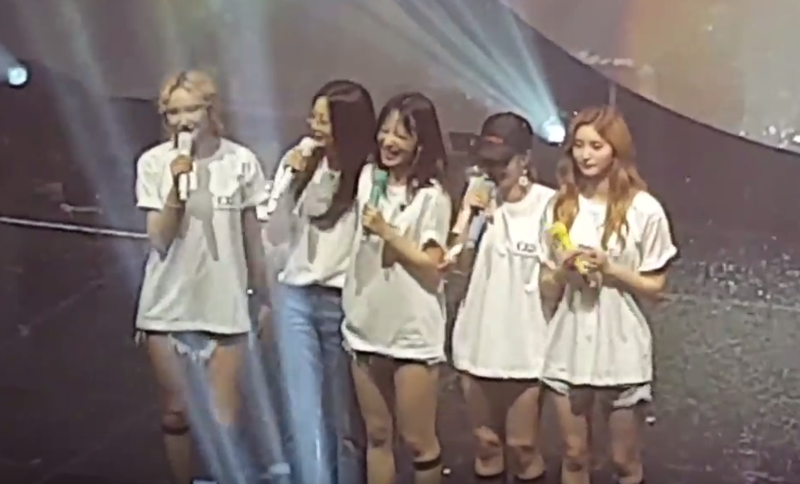 And because we’re all blessed, Solji indeed made a comeback, making a dramatic appearance and causing the rest of the member to burst into tears. Not only did she make an appearance, but she also sung on stage with them and did a little talk. Given that she’s still wearing glasses, it doesn’t seem like she’s recovered yet or is ready to promote, but this was still great to see and it seems like Solji truly is on the way back. I was pleased from the first Solji laugh we got and the interaction with Hyerin.